By now, I’m sure you’ve heard of Klout.com, a service that attempts to measure how influential your social media profiles are. People are scored out of 100 by an algorithm and are assigned influence ratings on topics. They can also compete for titles and rewards. It’s the gamification of influence online. Some people love it, some hate it. Last week one Londoner decided to poke fun at it by creating his own service designed to measure your online “asshattery“. 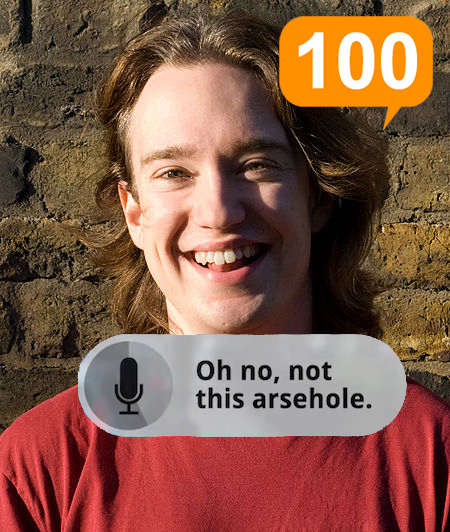 This new parody site, named Klouchebag.com, was created in a few hours by Tom Scott (@TomScott) – a British geek comedian, programmer, and social media contributor. Anger: use of profanity and rage. Retweets: “please RT”s, no or constant retweeting, and old-style. English Usage: if you use EXCLAMATION MARKS OMG!! !, or no capitals at all, this’ll be quite high. Getting a good chuckle at this site, and learning that I’m “Quite Noisy“, I shot Tom a quick email to get some more background on his latest creation. Here’s what he said about Klouchebag…. What spawned this idea and how fast did it come together? I had the idea on April 26th, 2012, after reading this article in Wired. I’d been annoyed with the idea of Klout for a while, and that crystallised it. On April 27th, 2012, I registered the domain name (sadly, “klunt.com” was already taken) and built it in a couple of hours of spare time. What type of feedback have you been getting so far? Almost all positive – fortunately no-one seems to be taking it seriously! How much traffic did you get on the first day? No idea. The stats won’t be in for a while. It’s certainly the fastest-launching project I’ve ever had. Is there anything that you left out that you would have liked to have included? Given another few hours, I might have added some awards or badges – but I’d worry about people competing for them! Who, besides yourself, has the highest score? Someone did discover one natural 100, which I didn’t think would be possible – a US morning radio show! For their sake, I’ll keep quiet as to who it is. 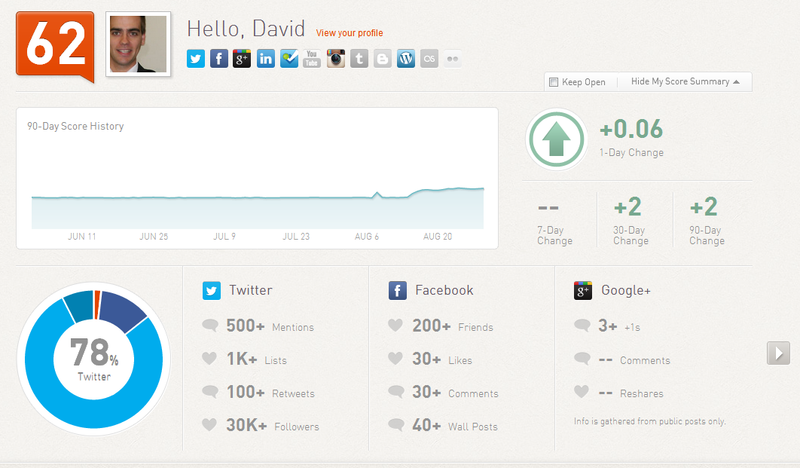 Do you have an axe to grind with Klout? or could this have been any “influence rating” service? Klout annoys me for the same reason that search engine optimisation annoys me: it’s an enormous amount of effort designed to game an arbitrary and often-changing system. Imagine if all that time went into actually making interesting things, or caring about the people around you. To quote the WOPR computer from WarGames: “the only way to win is not to play”! Social media in a business context is all about measurement. If influence isn’t a viable measure for ROI, how would you suggest evaluating the effectiveness of social media campaigns? I’m not sure I can actually answer that question without throwing up a bit in my mouth. Now what do you think? 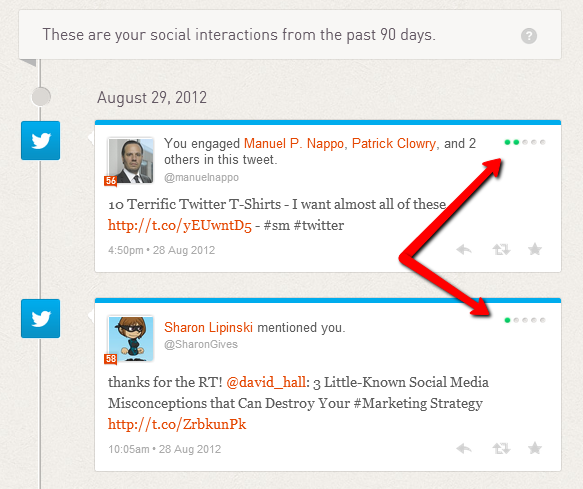 Do you care about your Klout score? Do you try and improve it?